Following her visit to the European Council meeting in Brussels, the Prime Minister Theresa May indicated that the UK might seek to extend the Brexit transition period ‘for a matter of months’. A recent European Policy Centre discussion paper has proposed a one-off mechanism to extend the transition period for a year. However, this week newspapers reported that the Cabinet had been warned that the UK could end up in a long-running transition following its departure from the EU. In a new Faculty of Law Research Paper, I explore three options open to the UK to extend the transition period and conclude that creating an extended transition and implementation facility would allow transition to end early as new agreements between the UK and EU enter into force. 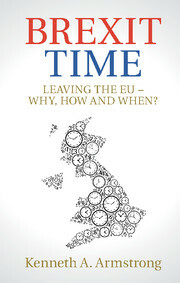 For some time now, both the United Kingdom and the European Union have been agreed that once the UK ceases to be a Member State of the EU on 29 March 2019, it will enter into a ‘stand-still’ period during which the UK will continue to be bound by its existing EU obligations (alternatives to this approach were explored in an earlier blog). The rationale behind this is to avoid a ‘cliff-edge’ departure which would otherwise see tariffs and regulatory controls imposed on cross-border trade between the UK and the EU. To the extent there has been disagreement between the two sides it has been on terminology – the EU refers to this as a ‘transition period’ while the UK insists on calling it an ‘implementation period’ – and duration – the UK sought a two-year period whereas the EU was only willing to agree a transition that would end on 31 December 2020 (coinciding with the end of the current budgetary ‘multi-annual framework’). The UK agreed to the EU’s offer of a transitionending in December 2020. However, the duration of the transition period has come back to the fore of the negotiations for two reasons. The UK believes that the issue of how to avoid a hard border on the island of Ireland can only properly be resolved in the context of the negotiations on the future economic relationship. The UK had hoped that this might be negotiated in parallel with the withdrawal arrangements. However, the EU has insisted that it is only the framework for future cooperation that can be discussed in the context of the withdrawal negotiations meaning that the terms of a future economic relationship can only be agreed once the UK leaves. As long as the UK is in transition, the issue of frontier controls on the island of Ireland does not arise. But with the transitional period ending at the end of 2020, EU negotiators have insisted on the need for a ‘backstop’ to ensure that if transition ends without a deal on a future relationship that meets the commitments made in the 2017 Joint Report, a ‘hard border’ in Ireland will be avoided. It is the failure to reach agreement on a backstop which is making negotiators on both sides reconsider a time-limited transition period. In a recent European Policy Centre paper, Tobias Lock and Fabian Zuleeg make a strong case for the extension of transition, suggesting that a one-time one-year option to extend transition would be a workable solution. An extended transition and implementation facility. The Research Paper suggests that while Lock and Zuleeg make a good case, their proposal still risks a ‘second cliff-edge’ at the end of an extended transitional period if there is no agreement on a future relationship. A one-year optional extension may not give negotiators sufficient time to reach an agreement and might not create sufficient confidence to avoid the need to negotiate a backstop. The most obvious way to avoid a backstop would be to keep the UK in transition unless and until a new economic partnership between the UK and the EU was agreed (provided also that this met the commitments on the Irish border agreed in the 2017 Joint Report). However, a perpetual transition would be politically unacceptable, be difficult to manage in budgetary terms and would conflict with EU law. It would, therefore, need an exit mechanism. This could be modelled on Article 50 itself and allow either the UK or the EU to notify the other of their intention to end the transition period. After a defined period, the transition period would come to an end with or without a deal on a future relationship. A compromise solution draws on the existing draft Agreement and would allow transition to end once new agreements on customs and trade, foreign, security and defence policy are agreed and became applicable. Unlike an open transition, this facility would have to have a defined endpoint and a proposed deadline of 31 December 2022 is suggested. This is beyond the next General Election which is scheduled for 5 May 2022. The aim would be to give negotiators the flexibility to agree new partnership arrangements but with incentives to reach agreements early to avoid the need to continue to use the transition and implementation facility. The UK and EU could depart transition well before the facility expired. This does not ‘solve’ the Irish border issue. The Withdrawal Agreement must contain commitments which have already been made to avoid a hard border. The pressure remains on the UK to define how a future relationship with the EU would meet those commitments. But by expanding the time available to continue negotiations, at least some of the current pressure on negotiators may be released. The alternative is that no deal is done on withdrawal and the UK departs the EU without a Withdrawal Agreement. In which case the issue of frontier controls comes quickly back onto the agenda. Extending transition in the hope of finding solutions may be the least worst outcome. Author Brexit EffectPosted on July 20, 2018 Leave a comment on Brexit’s Bitter Pill – How Significant Was the Government’s Defeat on the Trade Bill Amendment? Author Brexit EffectPosted on February 26, 2018 February 26, 2018 Tags Brexit, Corbyn, Customs Union, Labour, Regulatory Alignment1 Comment on A Customs Union Without a Single Market : Is Corbyn’s Position Credible? Does the Validity of the Article 50 Letter Depend Upon the Existence of a Formal ‘Decision’? Back in June 2017, I wrote something for the UK Constitutional Law Association Blog addressing the argument that the Article 50(2) TEU notification was invalid due to the lack of a ‘decision’ to withdraw in terms of Article 50(1). For the reasons I gave then, I found the argument misguided. But it is an argument that has continued online and is the subject of possible judicial review proceedings. As I set out in an earlier post this week, Brexit litigation has had a mixed reception in the courts. While the Miller case is a clear example of a case getting into court and producing a result for the complainants, others have not fared quite so well. Given the strength of feeling in some quarters that there is an arguable legal point to be addressed, I am taking the opportunity to clarify my own position. I won’t repeat the earlier argument but rather try to spell out the key dimensions of the argument. If we were reading Article 50 not as a provision of EU treaties but instead as a domestic statute, the idea of a single chronological shift from ‘decision’, to ‘notification’ and ultimately to ‘withdrawal’ would have a self-evident logic to it. According to that logic, the notification and consequential withdrawal would seem to depend on a prior decision being made in accordance with the UK’s constitutional requirements. If such a decision was absent, there might seem to be grounds for thinking that notification and withdrawal were resting on a false legal premise. Article 50 is not a UK statute. It is a provision of an international treaty. Its purpose is clear. Article 50(1) TEU acknowledges a right in international law for a state to withdraw from a treaty. It also acknowledges that the domestic circumstances giving rise to the exercise of that right are a matter for that Member State and attract whatever constitutional requirements are laid down in domestic law. EU law neither demands nor dictates those constitutional requirements. Instead the work of Article 50 is procedural and is laid down in Articles 50(2) and 50(3). These procedures are consequential not upon the domestic process giving rise to withdrawal but instead to an EU-level notification made under Article 50(2) TEU. In this way it should be clear that Articles 50(1) and 50(2) are not stages in a process within a single constitutional order. They are spatially displaced in constitutional terms meaning that there is no automaticity in terms of what happens at EU level in response to what happens at the domestic level. I say there is no ‘automaticity’ but that doesn’t necessarily mean that EU law would be blind to the circumstances giving rise to notification. If a Member State’s government was acting in a manner that was manifestly unconstitutional and had been declared as such by a competent body – this would principally be the Member State’s own institutions but could conceivably be the EU itself inasmuch as the unconstitutional behaviour was also a breach of the EU’s own values justifying the triggering of the Article 7 suspension process – then there would be grounds for suggesting that the Member State was not legally competent to notify under Article 50(2) TEU. In the context of the UK’s notification, the assertion is typically not that an unconstitutional decision has been made, but rather that no decision has formally been taken. The problem then for those asserting that the Article 50 notification is not valid would be to show that the absence of a formal decision is itself unconstitutional. As I made clear earlier, the issue of what is or is not a constitutional requirement in the UK does not derive and cannot derive from Article 50(1). In that sense Article 50(1) does not impose any EU law obligations but rather merely re-describes that any legal obligations can only be those of the Member State’s own constitution. In an unwritten and uncodified constitutional order like the UK, determining what those requirements might be is not without its difficulties. The UK Supreme Court in Miller was clear that as a matter of domestic constitutional law, the loss of a source of rights that would arise consequential to notification could only occur if Parliament gave statutory authorisation for notification. In that way, the Court may be seen to have understood that the domestic legal effects flowed from notification and so constitutional procedures had to attach to notification. It is true that the Court does at para 131 refer to statutory authorisation for the ‘decision to withdraw from the European Union’. Nonetheless, reading the judgment as a whole reinforces that it is the effects of notification that are at the core of the Court’s concern. Aside from Miller the question is simply whether UK law imposes any specific requirements on the making of a decision pursuant to Article 50(1) and if so, what sort of procedural or substantive standards need to be met. Firstly, there was no constitutional requirement to hold a referendum. It was not constitutionally mandated and nor was it a referendum that was required to be held consequential to the European Union Act 2011. Secondly, the referendum was advisory; it was for government to take whatever steps it wished following the referendum. In that respect it was made clear that the government would respect the outcome of the referendum. Thirdly, following the referendum, the government immediately took steps to put in motion the UK’s withdrawal from the EU. But there was no legal framework that dictated how this should occur or when. The European Union Referendum Act 2015 laid down no obligations on ministers as to what they should do in the event of a ‘Leave’ vote and and did not seek to demand that the government formally adopt any kind of decision following the referendum. In this way, if there is no legal requirement for the government to adopt a ‘decision’ it is simply the case that the UK has no constitutional requirements in respect of a ‘decision’. Inasmuch as there is a decision it is – much like the constitution itself – to be found in a range of documents, practices and institutional changes that are an expression of the government’s policy that the UK is leaving the EU. It might also be said that inasmuch as there is any specific text that embodies the decision it could be the Lancaster House speech in January 2017 or the notification letter itself which embodies the decision. But the point remains that from a domestic perspective, the absence of a formal ‘decision’ is not itself unconstitutional. The UK constitution operates on the basis that the Government is politically accountable to Parliament for its policy decisions and Parliament legislates to give them legal effect. The Government is accountable to the electorate at a General Election and it is through elections that a new Parliament is elected and Government formed. The UK’s constitution – notwithstanding the rise of judicial review – remains primarily political. Cases like Miller are important, but they should not lead us into a false sense of what the UK constitution demands in legal terms. All of which leads me back to my earlier blog post this week. We ought not to expect that courts will be in a hurry to give permission for legal challenges to be brought to the Brexit process. If permission is given to allow a new Article 50 challenge to go ahead, I remain of the view that the validity of notification under Article 50(2) is not dependent on a formal decision having been made under Article 50(1). The UK’s constitution does not impose obligations such that the absence of a formal decision under Article 50(1) could be considered to be contrary to the UK’s constitutional requirements. Certainly there are no grounds whatsoever for considering that as a matter of EU law, the Article 50 process that is now underway is vitiated by an error of law. Author Brexit EffectPosted on February 16, 2018 Leave a comment on Does the Validity of the Article 50 Letter Depend Upon the Existence of a Formal ‘Decision’?